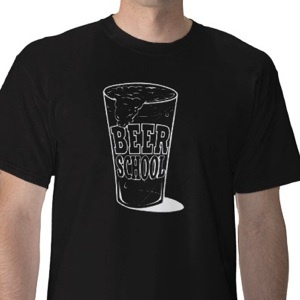 beer school » Blog Archive » hey, look… shirts! for whatever reason we never got around to making shirts. I don’t really know why but it doesn’t matter now. why? because you can buy a shirt if you really, really, really want to wear our logo around to pubs, festivals and parties. 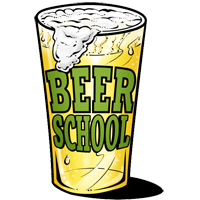 and it’s probably a good idea because the logo will un-nerd you enough to let you talk the the hottie over there. go ahead, you know you want to. just so everyone knows, yeah, we know these aren’t the full in-living color versions. those are coming next. let’s just say it’s a QA issue. before we release that version we need to make sure they are awesome. because anything less is like a misspeeling.